Young fans will be introduced to the characters and teams from The LEGO Ninjago Movie in this level 1 reader perfect for ages 3-5. 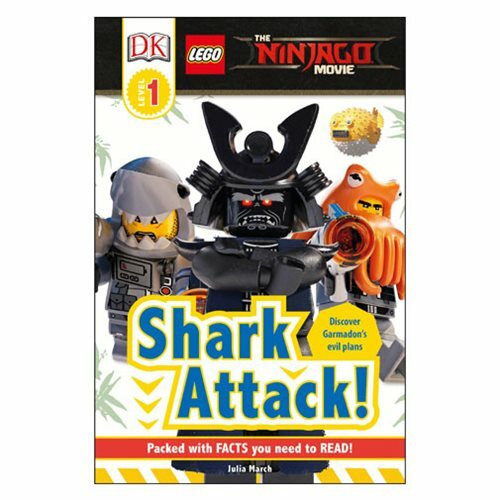 Find out about the mini-figures, vehicles, creatures, and locations from The LEGO Ninjago Movie while learning to read fluently and with support with The LEGO Ninjago Movie Shark Attack DK Readers 1 Paperback Book. The 24 page book measures about 9-inches tall x 5 9/10-inches wide. Ages 6 and up .